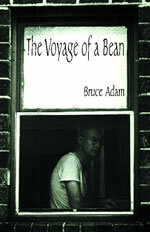 As Dreams of a Lifetime focused largely on inner realities, Bruce Adam’s The Voyage of a Bean continues to explore what role the unconscious mind plays in making sense of the world around us. But this second volume of collected fiction is fixed more on reality itself, where experience both nourishes and ravages, strengthens and weakens us, germinating faith or plowing it under. This is a book of spiritually and intellectually entertaining short stories, aesthetically satisfying at every turn, offering a variety of different voices and viewpoints, ultimately becoming our voyages into life vis-a-vis the author’s imaginative unraveling of the world.